Many of us ladies receive jewelry from our beaus and husbands. Those items are wonderful tokens of their love: flowers, chocolates, or cards. Maybe a piece of art or an article of clothing. Have any of you received something that was handmade? I have. Several years ago, my husband crafted a rocking chair for my dollhouse. Each part of the chair from the seat to the spindles was hand cut, shaped, and sanded. 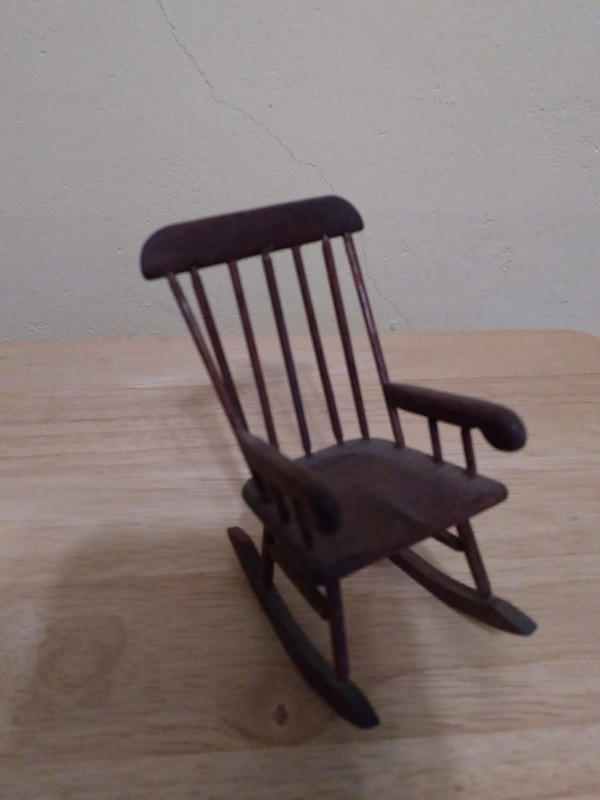 That tiny rocker holds a very special place in my heart, and is one of my favorite gifts. War is a terrible thing, and the young men who went to fight were exposed to unimaginable brutalities. In an effort to keep a grasp on their sanity and a hold on their loved ones at home, they sent letters and keepsakes they either made or purchased. The keepsakes were often jewelry for sisters, mothers, girlfriends, and wives. What started as a small custom during WWI, grew exponentially during WWII. In addition to jewelry, the men also sent pillowcases, compacts, and handkerchiefs. 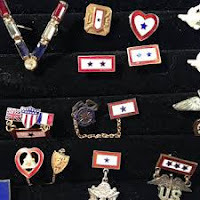 Made from a variety of metals and alternate materials such as wood or plastic , the jewelry often included the American flag, eagle, or stars. A pearl and "Remember Pearl Harbor" was also popular. Costume jewelry manufacturers such as Trifari and Coro were two of the main producers of patriotic jewelry. Victory pins featured a large "V" and were crafted from "Bakelite," wood, brass, or plastic. For those who could afford the cost of gems, some pins were available with precious or semi-precious stones. Wings were another widespread design for pins and brooches. Not surprisingly, heart-shaped necklaces, pins, and bracelets were the most popular. 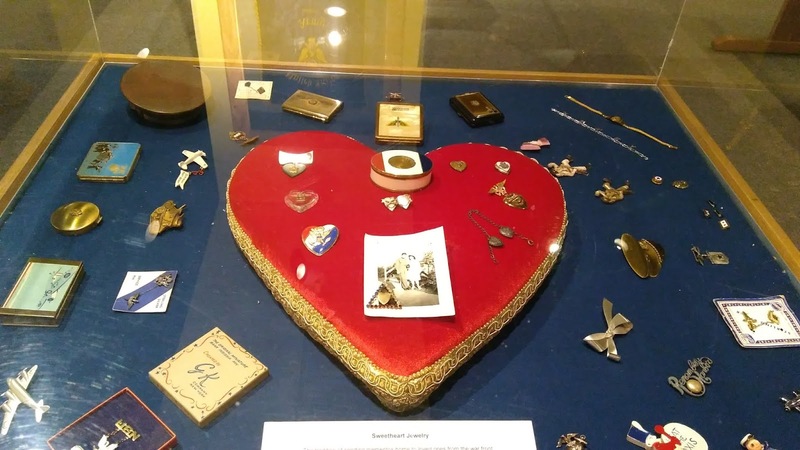 The production of sweetheart jewelry ceased after the war, but many pieces can be found in museums and on auction sites. But during the war, it seemed everyone had at least one item.